The Supreme Court, in a near-unanimous 8-1 decision, threw out the conviction of a Pennsylvania man prosecuted for making threats on Facebook, arguing that online speech is protected unless prosecutors can prove an individual’s intent to act on a threat. The decision, however, avoids ruling on the free speech issue that made the case of interest to First Amendment advocates. The Supreme Court’s decision sends the case back to the lower court. Chief Justice John Roberts wrote it was not enough for prosecutors to show that the comments of Anthony Elonis – about killing his ex-wife and harming others – would make a reasonable person feel threatened. The Court remained moot on what the standard of proof should be. 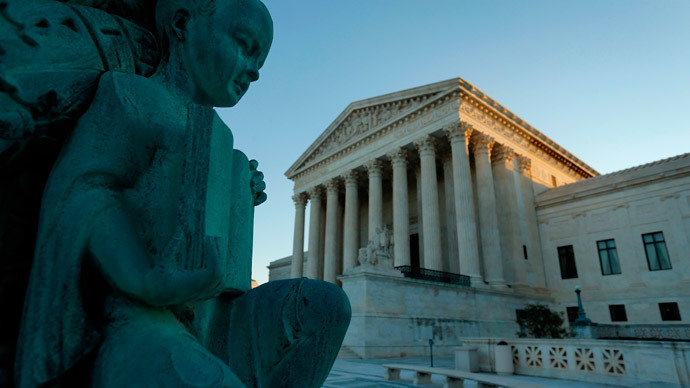 Roberts said the decision was based on the court’s interpretation of a federal criminal statute, rather than more broadly under the First Amendment’s free speech protections. The case concerns Anthony Elonis, whose wife left with their two children. He lost his job and began postings threats against his ex-wife and others, including FBI agents who came to this door. He was convicted on four counts of transmitting threats and sentenced to 44 months in prison, which he served and completed a year ago. Elonis’ attorneys argued that he never intended to carry out his violent threats, that it was a form of therapy as well as art, and argued that context is lost on the internet and words can be misinterpreted. The question that split the appeals court was whether the threats were intentional or illegal because a reasonable person takes them seriously. Elonis was convicted because they felt the threats could be taken seriously. Supreme Court Justice Clarence Thomas dissented in the case, while Justice Samuel Alito dissented in part. Both said the mere recklessness on Elonis’ part would be sufficient for conviction. “The court’s disposition of this case is certain to cause confusion and serious problems,” Alito wrote, according to the AP. He said the court should have defined what does and does not constitute a true threat. “The court declines to say. Attorneys and judges are left to guess. This will have regrettable consequences,” wrote Alito. The government’s case – that Elonis deserved conviction over his threats – was supported by amicus briefs from the National Network to End Domestic Violence, which cited a survey of 759 victims’ service agencies. It found nearly 90 percent of victims had threats delivered via technology. Text messages were the most used, followed by social media and email. Free speech advocates, such as the American Civil Liberties Union, were supportive of the court’s decision.